Drug abuse occurs when people being using drugs for one reason or another and their use develops into an intense desire and need for the substance. This need and desire outweighs the person’s need for need for success in his relationship, career or academics. The Center for Substance Abuse Prevention reports that overcoming drug abuse is important because of the significant amount of money in retroactive actions drug problems cost the American people every year. 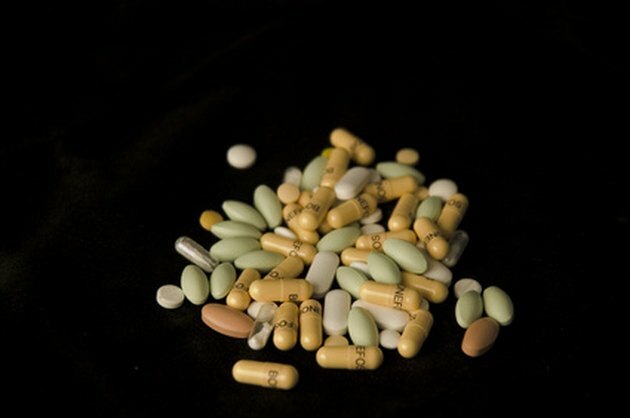 Drugs are often a part of television shows or movies. These forms of media many times glorify or romanticize the use of drugs, thus making using drugs look enticing and thrilling to the people watching, especially teens. To help overcome this perception, it's important for people to talk and discuss what they saw in the movie or television show. According to MayoClinic.com, teens also are often exposed to drug use over the Internet and other other media outlets; therefore, it is important for caregivers to talk with their teens about what they saw in the media about drug use. These discussions can help counter any positive images of drug abuse displayed in the media. There are certain risk factors that increase the chances a person will begin abusing drugs. These risk factors include having a family history of drug abuse or alcohol abuse, being exposed to people who commonly use drugs, living in poverty, underachieving in school, having a mental health disorder such as depression or ADHD and being able to easily access drugs. Although having these risk factors does not necessarily mean that a person will begin abusing drugs, they are factors to look for that can help increase awareness so that steps can be taken to reduce the risk. Knowledge of the risk factors will help parents intervene in the lives of their children and individual people take personal steps to reduce their own risk. For people who have already begun using drugs or have already increased their use to the point of abuse, the best solution is to begin treatment. Treatment will be tailored based on what specific drug a person is abusing. According to the National Institute on Drug Abuse, the most effective treatments for drug abuse focus on the entire life of the person, including her medical needs, psychological needs, relationship problems and work needs. Generally, treatment will use a combination of behavioral therapy interventions and medications to reduce the person's need or desire for the drug and give the person the skills to refrain from future drug use, notes the National Institute on Drug Abuse.